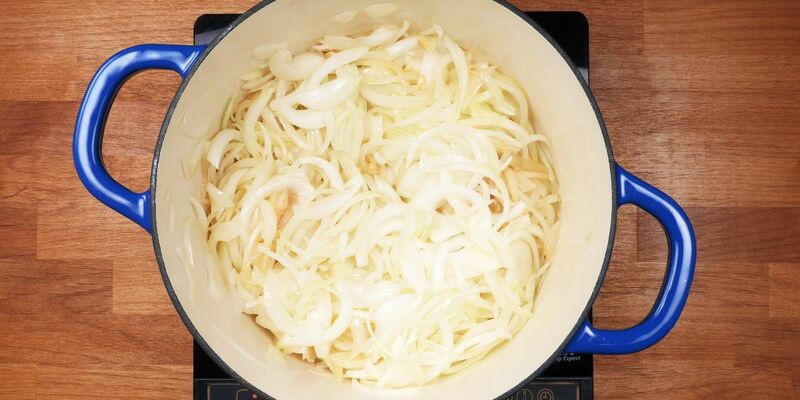 The secret to a good French onion soup is to caramelize the onions well before adding the broth. 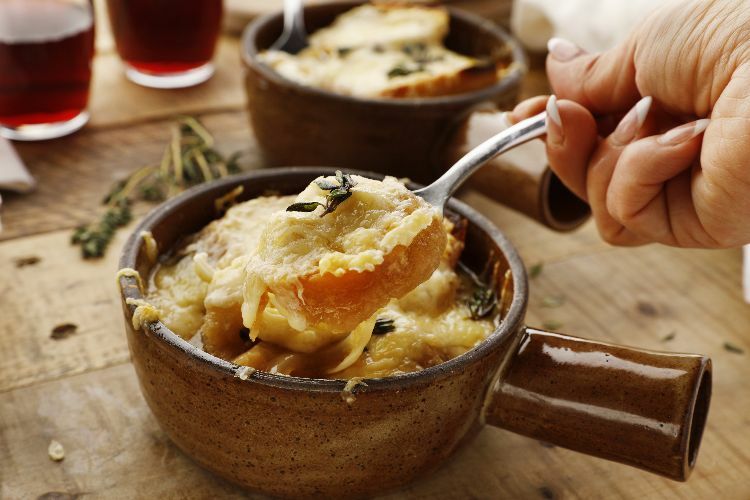 The best French onion soups are made with homemade beef broth, which you can prepare by purchasing soup bones from a butcher and simmering them low and slow for several hours. If you don't have time for that, a good-quality store-bought broth will work fine. Melt the butter over medium heat in a heavy-bottomed soup pot. Add the onions and the sugar. Cook, stirring occasionally, until the onions are very soft and caramelized, about 25 minutes. Put in the white wine. Cook, stirring occasionally, until the liquid has reduced by half. Wrap the bay leaves, thyme and peppercorns in a bit of cheesecloth and tie with a string. Add to the broth. Bring the soup to a boil, and reduce to a simmer and cook for an additional 15 minutes. Preheat the broiler. Ladle the soup into oven-proof bowls. Place a slice or two of baguette in each one, and top with cheese. Broil until the cheese is melted and caramelized.